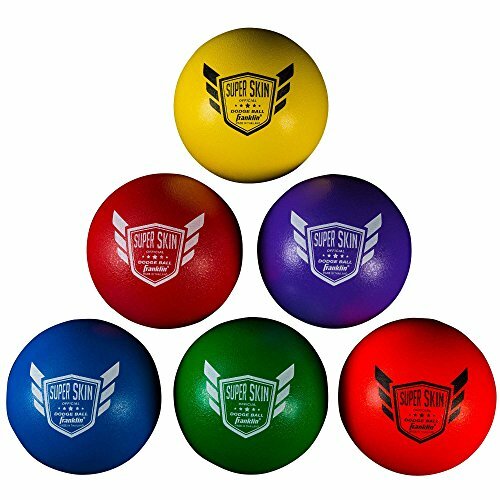 The Superskin Dodge Ball set includes six balls in assorted fun colors. Made from a super durable polyurethane foam that features a tough outer coating. Easy to grip, super soft design compresses on impact and will not tear or rip. The Superskin balls are ideal for league play and recreational fun for all ages. The material is easy to clean and disinfect, and always retains its shape after being kicked, thrown, squeezed, or stepped on.